Crown Isle real estate in Courtenay on Vancouver Island currently has a selection of 18 lots for sale as active listings. Prices for these residential lots range from $159,900 to $349,900. A selection of these lots are now available in Cambridge Park Estates. These home sites and premier residential lots for sale are situated on and around the 15th fairway of the award winning Crown Isle championship golf course. Many beautiful, custom homes have been built within this newest section of Crown Isle. The Crown Isle resort and golf community is centrally located in the Comox Valley, and features lots both along the golf course and in the surrounding area. Views of the Beaufort Mountains, Comox Glacier and the golf course abound. Crown Isle also features new homes for sale, condominiums and patio homes, as well as vacation suites at one of the top golf courses on Vancouver Island. Real estate at Crown Isle offers something for everyone. 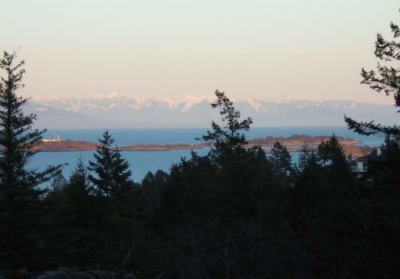 The residential lots for sale at Bonnington Ridge at Fairwinds on Vancouver Island offer a fabulous choice to build your dream home with stunning views of the ocean, golf course, and surrounding nature. This real estate project in the Faiswinds Community on central Vancouver Island, is set on a quiet cul-de-sac and has lots starting at $209,000. Four of the eight lots in Bonnington Ridge have sold. 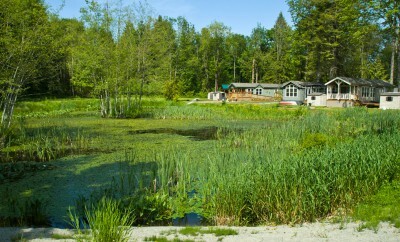 In addition to being surrounded by the best of Vancouver Island nature, and located in one of the driest spots in the country, Fairwinds Community and Resort also offers a 360-slip marina, an 18-hole golf course, tennis courts, 20 kilometres of hiking trails and an indoor swimming pool. 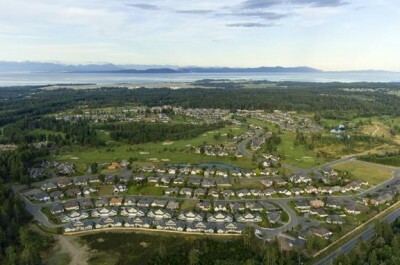 This master-planned community is located on a peninsula that juts into the Strait of Georgia between Nanaimo and Parksville. Fairwinds has developed a real estate community of 720 single-family homes, town houses and lots for new homes. Relay Event Rentals is a wedding, corporate event and party rental company located in Courtenay and Powell River, B.C. Serving the Comox Valley and beyond, Relay Event Rentals offers a wide range of party rental products, including party tents, dishes, glassware, linens and more. Relay Event Rentals can help party hosts of small and large events. They offer delivery and pick up services throughout the central and north Vancouver Island and Powell River areas. Contact them at 250.871.4646 or visit their party rental website. WesternOne Rentals & Sales in Comox on Vancouver Island is offering huge holiday saving on Polaris ATV’s and Ranger/RZR Utility Vehicles. Canada’s number one selling ATV is now available for sale or rental at WesternOne from the Comox Valley outlet. Stop in to view, test drive, buy or rent one of these exciting recreational vehicles and take advantage of the great Polaris Holiday Sales Event, which offers rebates of up to $2,000 and a chance to ride free for 6 months. WesternOne Rentals & Sales is proud to be a Vancouver Island’s Polaris Ranger/RZR dealer. WesternOne provides Factory Trained / Certified Technicians for any servicing needs and they have financing available. Let your WesternOne Polaris Dealer help you enjoy an outdoor ATV adventure this year. To contact the Polaris Sales, Rental and Service Departments call 250-339-4518 or 1-877-339-4518. Priced at well under $200,000, the new family friendly townhomes at Diamond Park in Courtenay, Vancouver Island offer a convenient location, plenty of room, and fabulous finishing details. These new 3 bedroom, 2 bathroom homes in the Comox Valley are 1050 sq. ft and include hardwood floors, upgraded lighting and contemporary interior finishing. 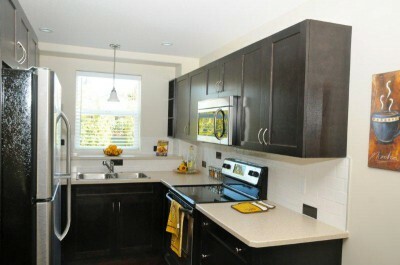 Each unit includes stainless steel kitchen appliances and a washer and dryer. The project also includes sprinkler systems, backyard patios and fenced yards for each unit. A children's playground is also on the property. This new real estate development offer excellent value, with new homes starting at $181,900. Tour the homes during Open Houses held Thursdays and Fridays from 5-7 p.m., and Saturdays and Sundays from 12-4 p.m. at 1700 Centennial Drive in Courtenay. The new Courtenay duplexes at Woodcote Mews have been popular with young families, empty nesters, and those looking for a Vancouver Island vacation home. These new Vancouver Island duplex homes feature a spacious 1,320 sq ft spread across two floors featuring three bedrooms and two bathrooms. Each unit includes a quality appliance package with refridgerator, stove, dishwasher, washer and dryer. Centrally located in Courtenay, residents of Woodcote Mews are in walking distance of the vibrant downtown area, which features shopping, restaurants and offices. Woodcote Park is only a few steps away and schools are close by. Residents are only minutes from North Island College, Comox Valley Aquatic Centre, Crown Isle Golf Course, the Comox Valley Airport, and recreational facilities, including beaches, rivers and parks. These new Courtenay homes are priced at $211,900. Pattie's Portable Potties is a Comox Valley-based business which supplies and services portable outhouses (porta potties) and pump out services for the central and north portion of Vancouver Island including Parksville/Qualicum, Courtenay, Campbell River and the North Island. Patties Portable Potties provides: portable washroom rentals for construction trade and special events on Vancouver Island; pump out services for Vancouver Island homes and RVs; executive and handicapped units for short or long-term use. For more information visit the Pattie's Portable Potties' website. Klitsa Signs is Vancouver Island’s premier sign shop. With locations in Port Alberni and Courtenay, Klitsa Signs offers a full range of high quality sign services, including real estate signs, construction development signs, yard signs and vehicle graphics. Klitsa Signs also offers large-scale digital printing for photo signs, sandblasted cedar signs, awnings and more. The sign shop can also create your company logo, and add it to a variety of clothing items. Klitsa Signs takes pride in producing quality work and offering excellent customer service. Contact them today at 250.338.4935 in Courtenay or 250.724.0902 in Port Alberni. The Boardwalk is a collection of 33 new Vancouver Island ocean view townhomes and condominiums in Nanaimo, starting from $244,900. Located only steps from Nanaimo's premiere waterfront walkway in the historic Newcastle area, The Boardwalk is "your path to Island living." These ocean view townhomes and condos features contemporary West Coast architectural design, and all concrete and steel construction. 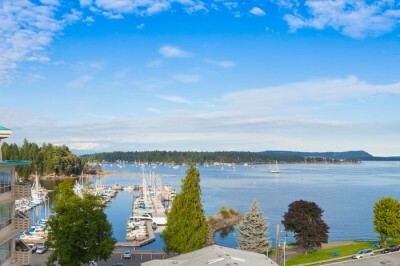 Located only steps from the waterfront, these Nanaimo condos and town homes offer easy access to marinas, waterfront walkways and outdoor activities. These new Vancouver Island homes are designed to take advantages of the views. 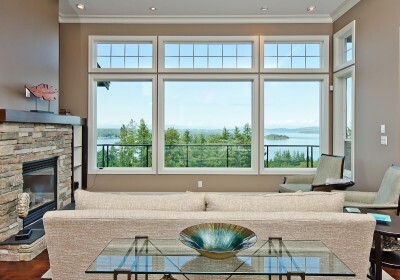 Expansive windows bring in light to capture dazzling views of the water, city, marina and more. Soaring nine foot ceilings throughout expand the sense of light-filled spaciousness. Large private balconies and/or ground floor patios offer space for relaxing and taking in the views. New homes at The Boardwalk range from 554 sq ft studio condominiums to 1355 sq ft 2 bedroom + den townhomes, and range in price from $244,900 to $629,000. The Boardwalk Presentation Centre at 370 Stewart Avenue in Nanaimo is now open Thursdays, Saturdays and Sundays from 1-4 p.m.
And now, purchase a new home at The Boardwalk by Dec. 31 and choose from a free car lease for a year or a $5,000 pre-paid Visa card. Only 5 are available – restrictions apply, speak to the sales team for details. The Gales, a new ocean view patio home and condominium real estate development in Ladysmith offer residents an idyllic Vancouver Island lifestyle. With year-round outdoor activities and adventures to be enjoyed in one of Canada's most temperate climates, you are never at a loss for things to do. From a walk on one of the many local beaches to leisurely strolls through pristine forest right at your back door, the lure of natural wonder is ever beckoning. If you are in the mood for a slightly more urban experience, the town of Ladysmith offers the convenience of being close by without the manic pace of a large urban centre. The relaxed and friendly pace of life in Ladysmith will leave you as refreshed as you are after a walk in one of the many local parks. A number of homes at The Gales are complete and occupied. A new phase of patio homes was completed last spring. New homes at The Gales are priced from $599,00-$650,000. Oak Bay Beach Hotel has released another block of 25 vacation hotel suites for sale in Victoria. In conjunction with this release of 25 units, the newly rebuilt waterfront hotel is offering early buyers a fantastic incentive which pays owners an Enhanced Lease Revenue stream that is nearly double the revenue that was offered in earlier sales phases. The first 10 purchasers of these luxury vacation hotel suites will earn 3.9% triple net annually for as long as they own the property, with all of the usage benefits. 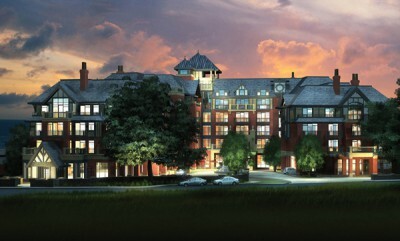 The majority of those 10 units have already been sold and only a few of these waterfront hotel suites remain. The Oak Bay Beach Hotel has launched a website specific to its real estate sales. In addition to the vacation hotel suites, there a limited number of luxury waterfront condos for sale at the Oak Bay Beach Hotel. The Oak Bay Beach Hotel sales office, located on the hotel site, is open 10-4 Saturday & Sunday. For those living outside Vancouver Island, Oak Bay Beach Hotel offers a unique Fly and Try program that provides a free getaway to Victoria for those purchasing real estate at the hotel. The Festival of Trees transforms The Pavillion at Chemainus Garden Holiday Resort into a lush forest of beautifully decorated trees. Local businesses, organizations and individuals decorate the trees in a sometimes wacky, often irreverent, and always beautiful fashion. The trees will be displayed throughout The Chemainus Garden Pavillion over the holiday season. For more information about the Festival of Tree, visit the Chemainus Garden Holiday Resort Website. 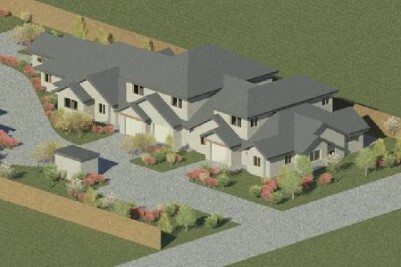 Vancouver Island's Chemainus Garden Holiday Resort offer Park Model Homes starting at $79,900. Park Model Homes combine the advantages of home with the carefree lifestyle of a high end RV Resort Community for an affordable price. Park Model Homes are meticulously designed with storage in mind, and provide up to 530 sq ft of living space. 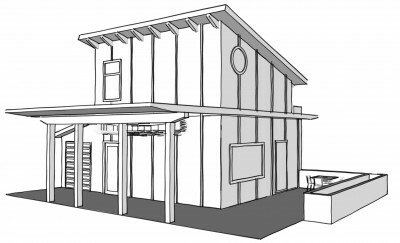 Options include one bedroom, 1 bedroom plus den or two bedrooms, and even a covered porch. Park Model Homes come standard with beautifully appointed kitchens, full size appliances, conventional bathrooms and loads of natural light. 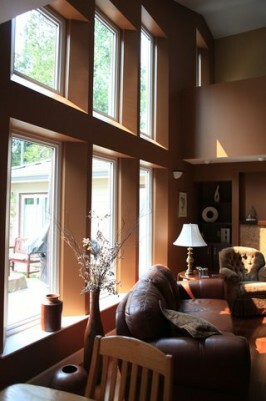 Options are endless - granite, hardwood, and lots of windows. Nutmeg Homes, custom homes builder based in the Comox Valley, use innovative concrete construction methods in building homes for their clients, to create green, energy efficient new homes. These award-winning builders use insulted concrete form (ICF) construction to create beautiful custom homes on Vancouver Island. The Nutmeg Homes website features a number of the new custom homes the company has built on and around the Comox Valley, and features details about the ICF construction process. Nutmeg Homes is also currently exploring options for building LEED certified homes and homes with green (or living) roofs. Valley Kitchens has moved to their newly purchased location at 731-30th Street in Courtenay, next to the WCB Building, off of Kilpatrick Avenue. 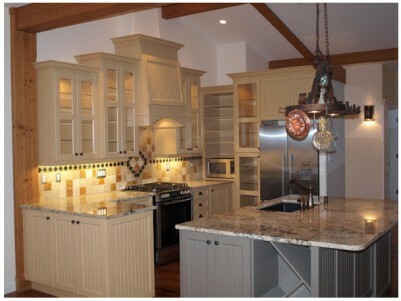 They specialize in custom kitchen cabinets, kitchen and bath remodeling, living rooms, bathroom vanities, home office cabinets, and other interior spaces. Valley Kitchens is open Monday-Friday from 7 a.m. - 4:30 p.m.
For more information contact Martin Havrda at 250.331.9009. McQueen Construction is building a new Comox Valley townhome development on Piercy Avenue in Courtenay, Vancouver Island. This new project will be built in two phases with four townhouses and two duplexes for a total of 10 new homes. The townhomes and duplexes will feature three different floor plans which will include two or three bedrooms and bathroom and range in size from 1,300-1,600 sq. ft.
Home designs include the option of having the master bedroom on the main floor. All of these centrally located new homes will feature hardwood flooring, solid wood cabinets, and appliance packages. The homes will have attached garages and additional driveway parking, and guest parking spots. 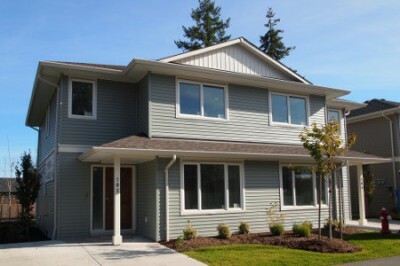 Located only a few blocks from downtown Courtenay, Piercy Avenue Townhomes are set in a sunny central location. Reef Point Cottages, where the west coast rain forest meets the mighty Pacific Ocean, is located on the West Coast of Vancouver Island in Ucluelet, British Columbia, Canada. 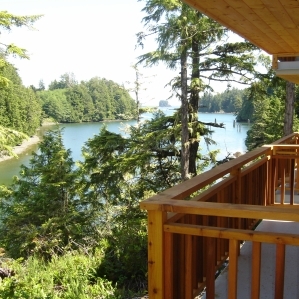 The Vancouver Island waterfront vacation homes at Reef Point Cottages offer an exciting Ucluelet real estate opportunity. Reef Point Cottages is located near Tofino, just minutes from Ucluelet’s beautiful pocket beaches or Long Beach in Pacific Rim National Park. The Wild Pacific Trail is on the doorstep of Reef Point Cottages, and is a must see for all travellers to the West Coast of Vancouver Island. These two private waterfront cottages for sale are two bedroom, two bathroom homes with excellent revenue in the growing resort community of Ucluelet, on the west coast of Vancouver Island near Long Beach and Tofino. These low maintenance 956 sq ft cottages are finished with teak, marble and slate flooring; granite countertops; pine wainscotting and ceilings. Cozy up to the fireplace on those stormy nights or sit in your private hot tub on the oversized covered deck overlooking nature and on to Spring Cove. There is also room in the unfinished basement to add a third bedroom and/or an owner lock-off. These Ucluelet real estate cottages are part of the Reef Point Cottages rental program and the owner is entitled to 6 months personal use each year. The owners can also leave their vacation home in the rental program full-time and earn a return on this hassle free investment. Unit 271 is priced at $299,000, and Unit 273 is priced at $279,000. 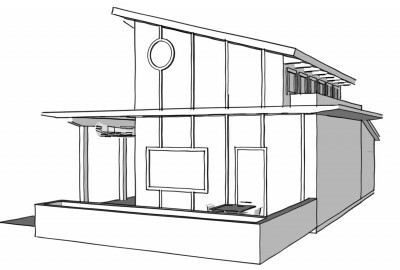 Capstone Dwellings Design-Build is currently working with a client in Royston, B.C. on Vancouver Island to design and build a renovation for a contemporary secondary suite in the Comox Valley. Challenges with the existing building ended up being the gateway for a successful design process leading to plans for a beautiful west-coast contemporary hide-a-way with views of the ocean. The clients are focused on adding value and flexibility to their property. Designer Bethany Pearce of Capstone Dwellings Design-Build continues to work with the clients while considering investment value, neighboring properties, future uses and of course, style. The project is set to undergo the permitting process at the end of the 2011 year with construction start planned for February 2012. Considering a Secondary Suite Renovation in the Comox Valley? Call Capstone Dwellings and discuss your project with Bethany Peace. The Capstone Dwellings team can consult on design, budgeting and also walk clients though important regulations and requirements with municipal offices. For more information contact Bethany at 250-331-9004 or Bethany@ CapstoneDwellings.com.